We cordially invite you to join us at the Spokane Benefit for JVC Northwest on Friday, February 22th, 2019. 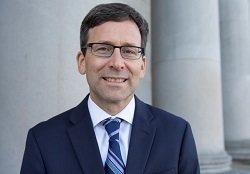 The event will be a fundraiser and reunion for friends and supporters of JVC Northwest and will feature a keynote by Washington State Attorney General Bob Ferguson. The evening event will take place at Gonzaga University. I’m very happy this is happening closer to us; however, I only knew because of Vic Forni and that was last minute. I got a newsletter yesterday that had it listed, but never got the invitation Vic did. Of course our address does not say Spokane. If you would like some assistance in figuring out which areas may find Spokane more accessible, I’m happy to look into it for you. AG Bob Ferguson is a great draw. I hope this gets a good turn out, but I fear it won’t due to lack of advanced notice and lack of inclusion of the whole area around Spokane. But please continue these efforts in include us far-flung rural FJV’s. Thank you !!!! Hi ! I’m really happy about this event. Just want you to know I wouldn’t have known about until Feb 15 if not for Vic Forni. Making alumni events accessible to us over here in the east is a great idea. I do fear this one may not be as well attended to reflect the level of interest I’m guessing is out here (BC, Alberta maybe, Montana, Idaho, Eastern WA and OR. Don’t know where alumni are located, but there are alot of us.) The speaker is a big draw I’m guessing, just not sure the word is out there. Thanks for all your hard work. Thanks RaNae – your point about us reaching out to FJVs in Canada has been well-taken! We appreciate your willingness to travel and hope you have a great time at the event.